Afghanistan was once known across the globe for all the wrong reasons due to their political conflicts.The associate nation, who had qualified for the 2010 T20 World Cup, have come a long way forward ever since and find their name among the 12 Test playing nations today. 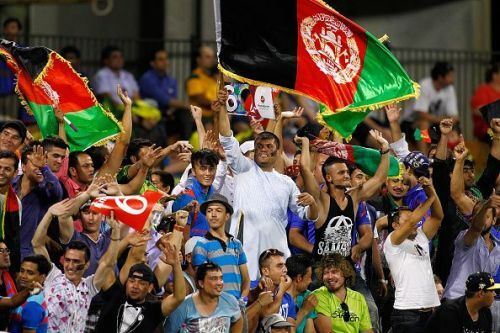 Over time, Afghanistan has become a cricket crazy nation and the players haven't let their fans down. The game of Cricket has found a place in 34 million hearts in the country, and with their team competing against the top teams around the world, is definitely on a steady rise. They got a lot of financial and technical support from the BCCI, including good training facilities in Noida, where they host home games in addition to the games played in Sharjah. They trained under the likes of Inzamam-ul-Haq, Rashid Latif and Lalchand Rajput. Their first success was qualifying for the World T20 Championship in the Caribbean, back in 2010. They played their first match of the tournament against India in Gros Islet (St Lucia), though they lost the game by 7 wickets, they won a lot of hearts back home by being a part of a major ICC tournament. They also lost their second game against the Proteas, but it was their first step in international cricket, and the country will never forget it's first World Cup experience. Apart from the T20 World Cup, they also made it to the 50-over World Cup that took place in Australia and New Zealand in 2015. They got their first World Cup victory against Scotland at Dunedin.